Use to organize multiple electronic or electrical cords and wires. Expandable spiral wrap safely secures your cables together. Simply wrap around cords to install. Spiral wrap hold group of wires together. Diameter: 1/2 in. 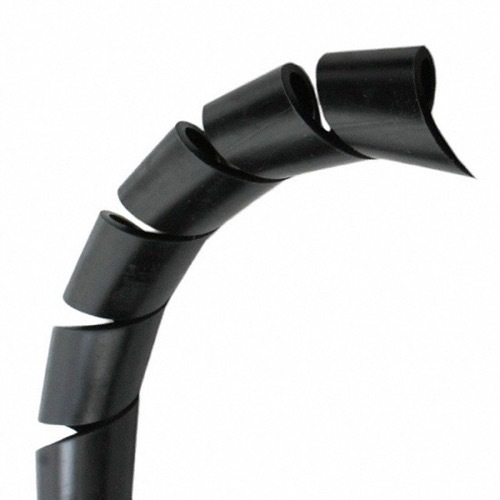 length: 6 ft. Abrasion protection for wire and cable insulation.